Full Time Fishing Guide Specializing In Drift Boat Trips On The Pere Marquette River For Steelhead (Spring/Fall/Winter) & Salmon (Fall). Carp & Smallmouth on Beaver Island (Summer) & Redfish in Louisiana (Winter). 20+ Years Experience Fully Licensed & Insured. Catching steelhead on the Pere Marquette River is one of my favorite things to do. These acrobatic fish draw in anglers nationwide. From indicator fishing to swinging streamers, the methods do vary depending on the time of year. If you haven’t tangled with a fresh steelhead in a river, you should give it a try it is a blast. 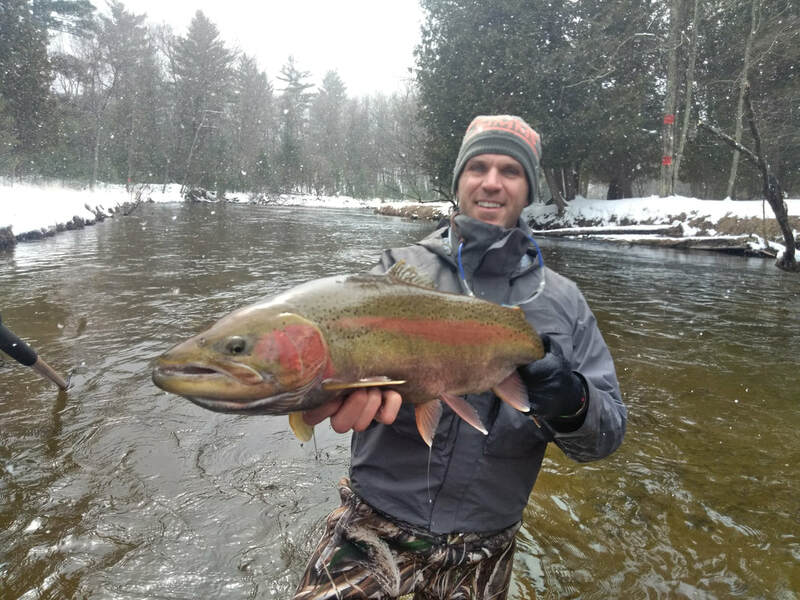 Read more about steelhead fishing on the Pere Marquette River. 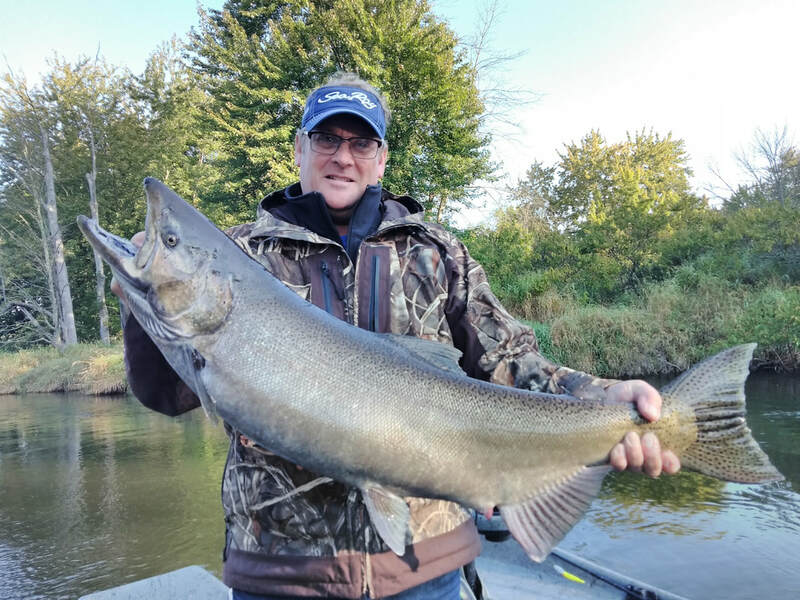 From early August into late October we fish King Salmon of the Pere Marquette River. We use a variety of methods depending on the situation but the results are the same; BIG fish in on a small river. These fish are a handful and pull like freight trains. Read more about our King Salmon season on the PM. From the first of June through the entire month of July you will find be on Beaver Island, Michigan guiding carp and smallmouth bass on the fly. This is one of Michigan’s best fisheries and the island is a great place to spend some time on in the summer months. Comparable to saltwater flats fishing, this is all sight fishing to big fish in clear water. 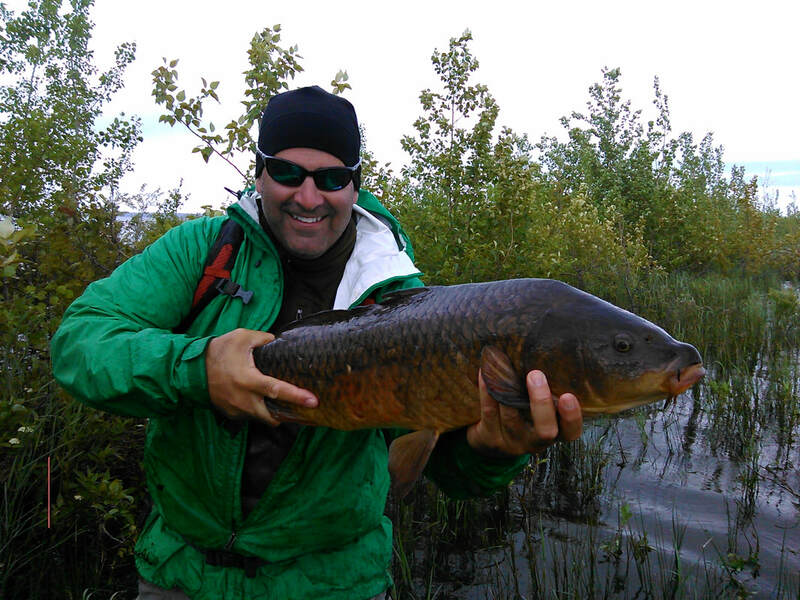 Read more about carp fishing on Beaver Island. The Pere Marquette River or PM as it is called is a designated National Wild and Scenic River–covering 70 miles. It flows westerly from Lake County, through the communities of Baldwin, Branch, Walhalla, Custer, Scottville, and Ludington–draining into Pere Marquette Lake and eventually Lake Michigan. The PM River is not deep, averaging two to six feet deep and about 30-40 feet wide. The PM River is an extremely popular fishing destination, due to the abundance of rainbows, browns, steelhead and salmon. Starting in August the Pere Marquette starts getting its annual run of King Salmon, this will last until late October. While the King Salmon numbers lessen, the fall steelhead will start to enter the system along with resident brown trout this can make for a exciting time of year. Questions About Booking A Trip Or Need To Check Availability? Give Me A Call Or Fill Out The Form Below.